First Friday Artist Reception: Friday, June 3 – 6-8 p.m.
Brandon Oleskey started photographing concerts in San Diego, California in 2014. Since then, Brandon has criss crossed the state, shooting as many shows as possible. 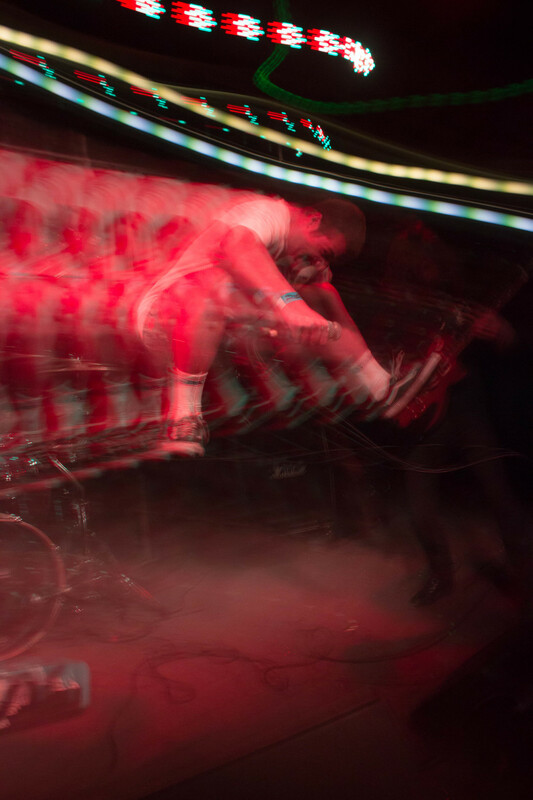 Currently based in Santa Cruz, his concert photography is more than just than straight documentation. Brandon experiments with panning, blur, size, color, and black and white in an attempt to capture an image that truly expresses the energy of the concert experience through a still image. The bands he photographs range from well known acts, like Cake and Mac Demarco, to Santa Cruz favorites such as Drain and Watergate Sandals.